The music of the United States reflects the diversity of our nation through its array of styles, compositions, musicians, and writers. Join Craven Arts Council & Gallery to celebrate our rich musical legacy in a series of concerts centered around the composers and songwriters that have shaped it. ​Rescheduled to December 1st, 2018! The "Reluctant Voice of a Generation," Bob Dylan has been a power house in American folk and popular music for more than five decades. 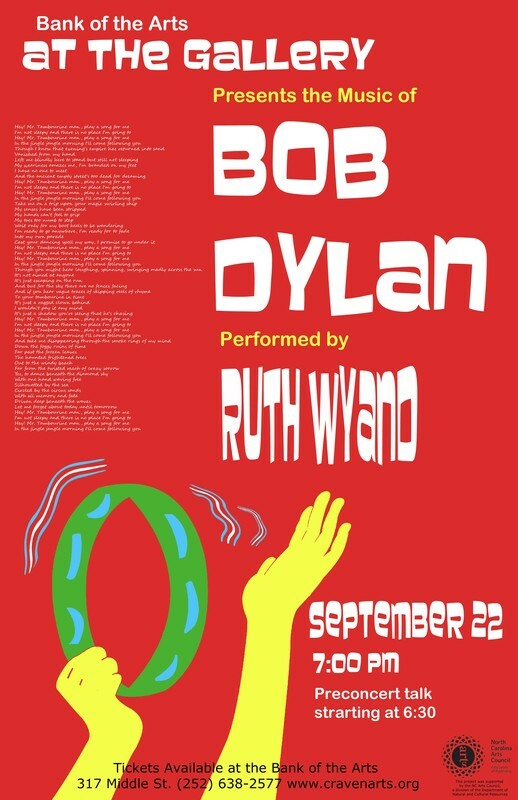 With songs that draw from a wide range of political, literary, philosophical, and social influences, Dylan's music was the anthem of the anti-war, Civil Rights, and counterculture movements of the 1960's. In a career that continues to this day, Dylan has explored the technical, lyrical, and political motives and means of music, from electrical guitars to concept albums. His songs and albums have won him 11 Grammys, induction into the Songwriter and Rock and Roll Halls of Fame, a Pulitzer Prize, and the Nobel Prize for Literature. Hits include "Times They Are A Changing," "Blowin' in the Wind," and "Like a Rolling Stone." ​Ruth Wyand is an accomplished musician who has toured the United States, United Kingdom, France, New Zealand, Bermuda, and Kuwait. With one foot in the juke joints and one foot in the jazz clubs Ruth draws on American roots music to frame her lyrics and demonstrate her strengths as a guitarist, songwriter and vocalist. 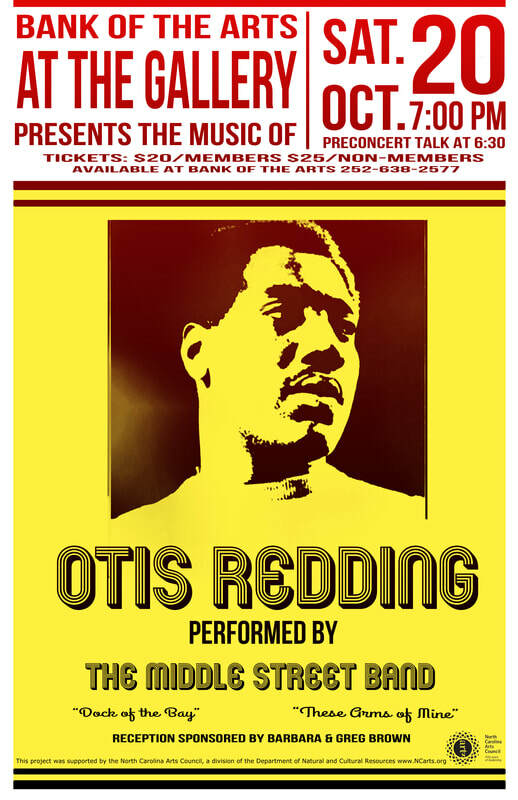 Otis Redding quit school at the age of 15 to help support his family, working with Little Richard's backing band, the Upsetters. In 1962 an unscheduled appearance on a Stax recording session resulted in a contract his his first single "These Arms of Mine." Initially popular with African American audiences, Redding's music rapidly spread to the wider American population, and later European audiences. Redding's career and life were cut tragically short at the age of 26 by a plane crash shortly after recording "(Sittin' On) The Dock of the Bay." The song would become the first posthumous Number One hit on Billboard. Other hits include "Respect" and "These Arms of Mine"
You may have seen the Middle Street Band performing on the Corner of Middle and Pollock, the Ghent Mardi Gras celebration, or at the Bank of the Arts. This young band takes familiar melodies and pop tunes to a new level with a jazz flare. 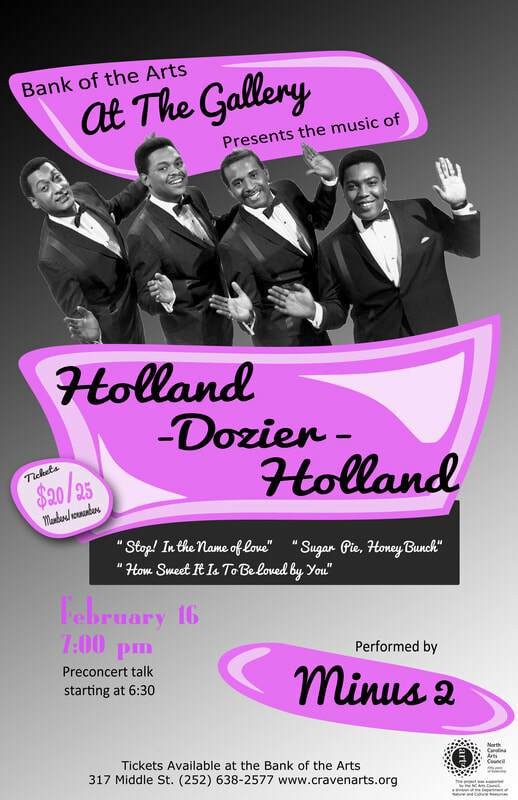 Come see their last performance as a group playing the music of Oits Redding. 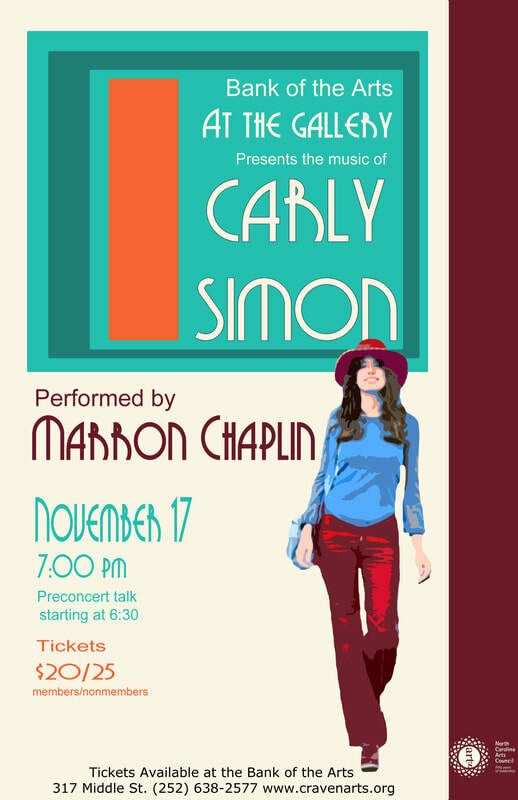 Hoping to cope with a stutter at the age of eight, Carly Simon turned to music, both singing and songwriting. After a short career with her sister as "The Simon Sisters," her self titled debut album won a Grammy for Best New Artist, starting her international career. Often topping the charts throughout the 1970's, Simon's unique voice and songwriting talent won her critical acclaim. Simon is the first artist to ever win an Academy Award, a Grammy, and a Golden Globe for a song written, composed, and performed by the same artist. Her career included numerous Billboard hits, 2 Grammy Awards, induction in the Songwriter Hall of Fame, and the ASCAP Founder's Award. Hit's include "You're so Vain," "Anticipation," and "That's the Way I've Always Heard It Should Be." Marron Chaplin is a multifaceted singer, songwriter, guitarist and piano player whose sound ranges from monster rock riffs to piano ballads, acoustic storytelling, and classic blues guitar solos. 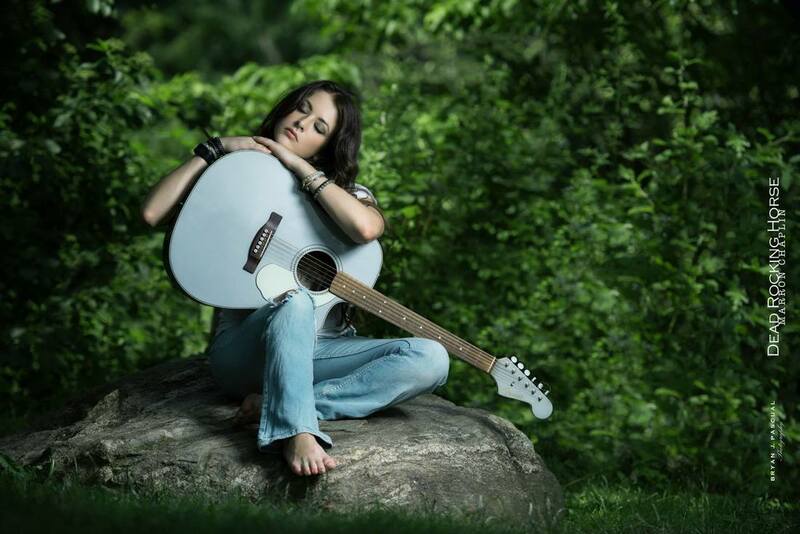 She been a member of numerous bands in addition to her solo career, and is currently touring between eastern North Carolina, New York City, and Nashville. The nephew of 3 Hollywood film score composers, Randy Newman is widely known for his film scores and compositions, as well as his distinctive voice and satirical songwriting. His 1968 self titled debut album received critical acclaim and praise from other musicians, but never achieved Billboard success. Newman has received twenty Academy Award nominations, and twice won the "Best Original Song." He composed the scores for "Toy Story," "Ragtime," "Cats Don't Dance," and numerous other live action and animated movies. Hits include "You've got a Friend in Me," "Short People," and "Feels Like Home." 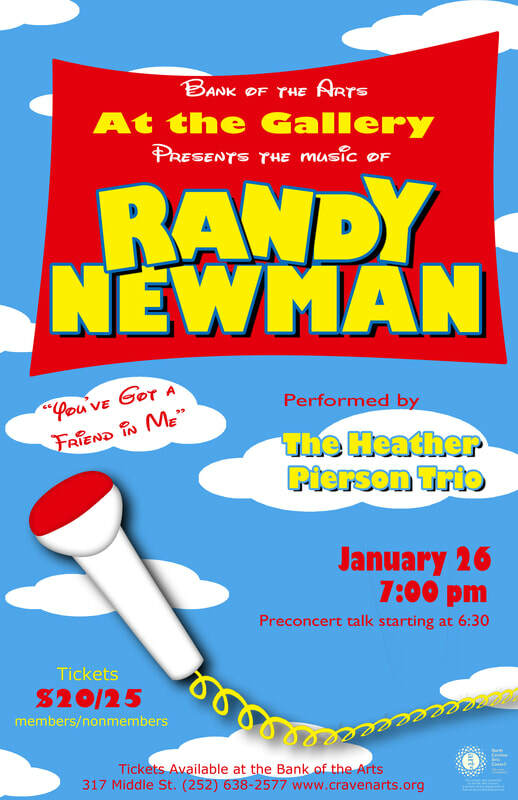 ​Returning to our “At the Gallery” series following their amazing performance of the music of James Taylor in March 2018, we’re happy to welcome the Heather Pierson Trio back to present the songs of Randy Newman. The superstar team of Lamont Dozier and brothers Eddie and Brain Holland wrote 25 Number 1 hits for Motown Records, and numerous other popular songs recorded by the label. Originally recording artists in their own right, the three teamed up to write songs and soon found they preferred songwriting and production. Their songs would be made popular by the likes of the Four Tops, Dusty Springfield, Marvin Gaye, the Temptations, the Supremes, and more. Sometimes writing under the name "Edythe Wayne," the trio have been recognized in the Songwriters Hall of Fame, the Rock & Roll Hall of Fame, and numerous BMI awards . Hits include "Stop! In the Name of Love," "Sugar Pie, Honey Bunch," and "How Sweet It Is (To Be Loved By You)." Minus2 is an innovative group with definitive style and substance. The brainchild of two talented brothers, Daryl and Eric Minus, Minus2 uniquely combines jazz, funk, gospel, and R&B elements into a soul-stirring, colorful collage of urban instrumental artistry. Between the two of them, the Minus brothers have been creating and performing diverse musical styles for 30 years. The two began their musical journey as horn players in elementary school with Daryl deciding to study trumpet and Eric choosing to pursue the saxophone. After years of developing an instrumental foundation from their exposure to classical and jazz music, the undeniable influences of gospel and funk eventually became well known components of the Minus Repertoire. As their musical horizons broadened, the Minus brothers picked up new instruments: Daryl gravitated towards the piano, and Eric focused his energies on the bass, guitar, and drums. The evolution of the Minus2 sound has been years in the making. The Brothers have now come full circle to create a signature sound of their own, using all the music influences that have shaped their creative existence over the years. Minus2 is a group with a purpose: To build artistic bridges between musical genres. The Minus brothers co-founded an independent record label, In Season Music Group (ISMG), LLC in December 2000. ISMG was developed to satisfy the growing demand for innovative contemporary jazz and gospel music and has grown to become a multi-dimensional business entity. 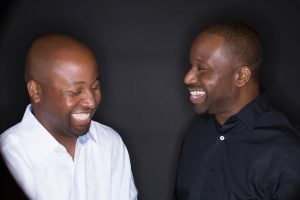 Under the ISMG label, the brothers have released two instrumental projects as Minus2, four gospel albums with artist Derek Dunn, and have written/produced/performed songs with a variety of jazz, rock, funk, and gospel artists throughout the United States. 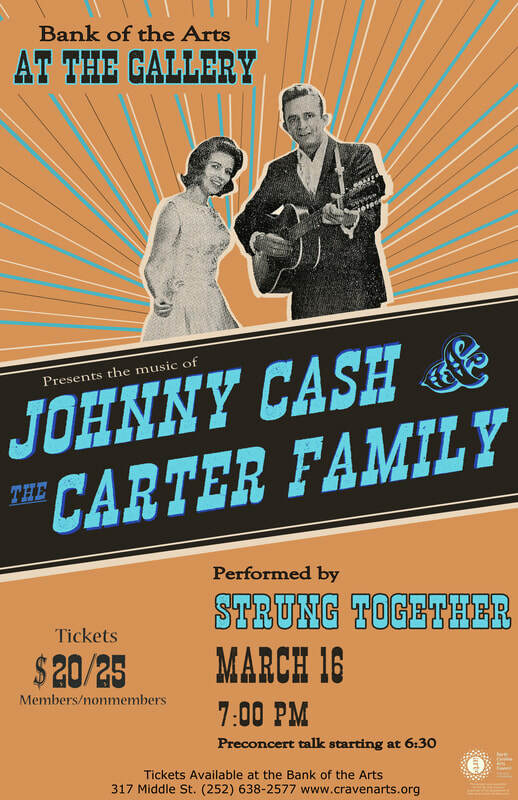 Starting in 1927, the Carter Family released traditional folk music that would shape the future of bluegrass, country, pop, rock, and the folk revival of the 1960's. Original member A.P. Carter collected traditional songs from up and down the eastern Appalachian region and created recordings with wife Sara and sister in law Maybelle, receiving $50 a song and a 1/2 cent royalty per record sold. The band went through numerous incarnations with various family members, including "Maybelle Carter and the Carter Sisters." Known as "The Man in Black," Johnny Cash's signature baritone and genre cross style made him of the best selling artists of all time. Cash's songs ranged from serious discussion of white encroachment on Native lands to funny stories and dark humor, oftentimes within the same album. In Cash met June Carter of the Maybelle and the Carter Sisters at the Grand Ole' Oprey in 1955, and the two fell for each other instantly. Often performing together, they married in 1968, the same year Cash releases his most famous album, "Live at Folsom," where both singers performed a free concert in front of a live prison audience. Hits include "Can the Circle be Unbroke," "Wildwood Flower, "I Walk the Line," and "Ring of Fire. Strung Together is a family band, born on the Olivers’ front porch in downtown New Bern, NC. With soaring harmonies and a stringband sound, Strung Together plays songs that they love, adapted to their own style. Playing their own unique blend of folk, Americana, old-time and bluegrass, Strung Together has enjoyed performing for audiences in North Carolina and South Carolina, making music and memories together as a family. Strung Together is primarily the Oliver family: Cat on vocals and bass; Abigail and Mason on vocals and guitar; and their parents Dare - on vocals - and George on vocals and banjo. Joining them is Nick Eickhoff on percussion and Addy Quinn on fiddle. They have released a CD, “The Littlest Birds,” which contains a mixture of originals and their favorite tunes. It is available on iTunes and Amazon. Born in the Great Depression and raised by his grandparents, Willie Nelson wrote his first song at the age of 7 and joined his first band at 10. After a rocky start in the music field, Nelson left RCA records in 1972 with the intention of retiring from music. Moving the Austin, Texas, Nelson was rejuvenated by the hippie music scene there and returned to recording under Atlantic Record in the outlaw country style. Finally achieving success with the album Shotgun Willie, Nelson would become of the biggest names in country. Nicknamed the "Red Headed Stranger" after the song and album of the same name, Nelson has released sixty-eight studio albums, and earned induction in the County Hall of Fame, the Agricultural Hall of Fame for his Farm Aid benefits, and a Library of Congress Gershwin Award. Hit's include "Crazy, " "Family Bible," and "Shotgun Willie." Blue Cactus makes country music for people who think they don't like country music and people who love what country music used to be. Based out of Chapel Hill, NC, Blue Cactus is led by Steph Stewart and Mario Arnez who create songs that range from gritty honky-tonk to heartbreaking balladry. 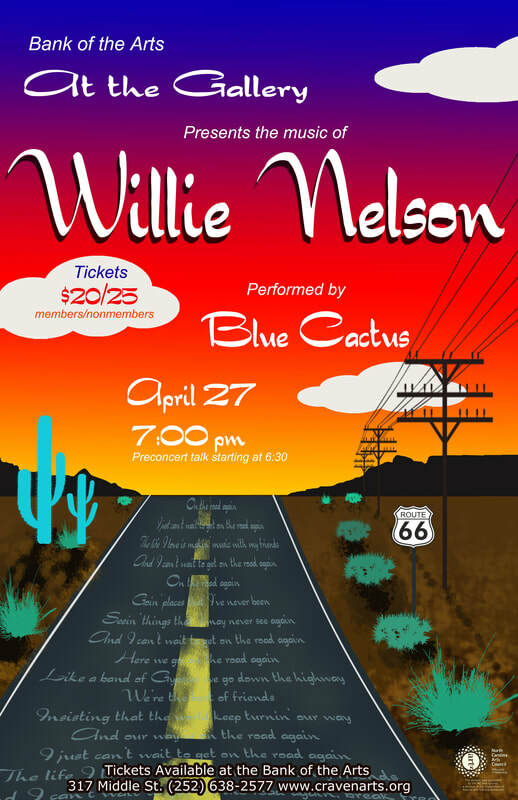 Coming off the release of their self-titled debut album, Blue Cactus has toured up and down the east coast, breathing life into the future of “modern classic country"and receiving praise from music critics across the nation. Inspired by the iconic vocal harmonies of the Everly Brothers and dynamic twang of great singers like Loretta Lynn and Patsy Cline, Stewart and Arnez conjure a sound that will take you on a familiar journey into uncharted country, expanding tropes and breathing hope into the genre's limitless possibilities. Mentored by none other than Oscar Hammerstein, Stephen Sondheim would go on to become one of the best known names in musical theater, winning eight Tony Awards, an Academy Award, eight Pulitzers, a Grammy, and the Presidential Medal of Freedom. His best known works as composer and lyricist include "A Funny Thing Happened on the Way to the Forum," "Sweeney Todd," and "Into the Woods," among others. He also wrote the lyrics for "West Side Story" and " Gypsy." Hits include "Pretty Women," "Everybody Ought the Have a Maid," and "Maria." 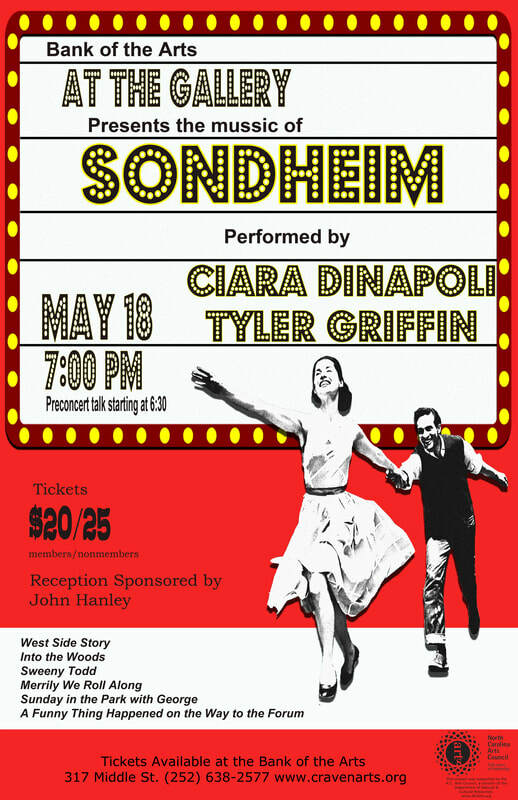 Ciara Hardison DiNapoli has been singing and performing since she was 6 years old. As a child, she performed in both television and film, but her love was and always has been live theatre. Ciara graduated from the University of North Carolina at Greensboro with a Bachelor of Fine Arts degree in Theatre Eduction. She is also a NC Teaching Fellow. She has a masters degree in Language and Literacy from the University of North Carolina at Wilmington. She is currently in her 14th year of teaching. Ciara started her performance career in Wilmington, NC and continued in Greensboro, NC. Since relocating here in 2004, she performed in and directed many shows in ENC. Some of her favorite roles include: “Mimi”- RENT, New Bern Civic Theatre (NBCT); “Celie”- The Color Purple, NBCT; “Lucy”- Jekyll and Hyde, Rivertowne Players (RTP); “Diana Morales”- A Chorus Line, Carteret Community Theatre; “Aida”- Aida, NBCT; “Rose”-Fences, NBCT; and “Ruth”- A Raisin in the Sun, NBCT. Most recently, she played “Belle” in RTP’s Beauty and the Beast. Ciara is honored to be able to perform for the Craven Arts Council and Gallery this evening. She thanks, as always, her awesome husband, Vince, and beautiful babies, Christian, Laila and Maia for their endless live and support. TGBTG!! As the vocalist for the Piedmont Airlines, later the US Air Jazz Orchestra, he consistently amazed audiences throughout the world in his engagements at the Grand Casino, Deauville, and Paris, France; London; Frankfurt; Wiesbaden; Konigswinter, Germany, as well as most major cities in the USA. He sang for a distinguished audience, which included then Vice President George H. W. Bush, when the Space Shuttle Enterprise was donated to the Smithsonian Institution. Upon the Vice President's recommendation, he later entertained at the Southern Governors' Conference in Charlotte. He also sang successively before then ex-President George H. W. Bush and then First Lady Hillary Clinton at the prestigious Congressional Medal of Honor Society meetings. He was the featured vocalist in the "Down Home with the Carolina Pops" tour with the Greensboro Symphony Orchestra, during which he performed the music of a number of North Carolina artists in styles ranging from bluegrass to jazz. He recently was a guest artist on the stage of the Grand Ole Opry in Nashville, Tennessee. 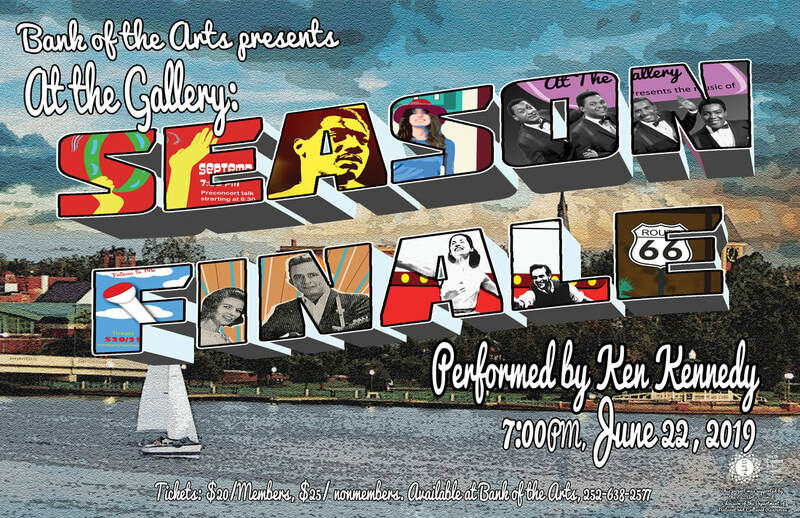 Last at Bank of the Arts for his amazing ATG: Billy Joel Concert, Craven Arts is excited to welcome Ken Kennedy back for the 2018-2019 Season Finale.